Stranded on an off-world base, a tech specialist seeks to outwit a confused AI before it kills him. In the depths of space, a mining ship finds a vein of ore that will make everyone aboard rich — if they figure out what happened to the crew of the ship that was here before them. Waiting for the unwary reader of this book are stories of madmen playing with science beyond their control, and alien creatures with malign intent. Welcome to Dark Horizons, where the future is lost. Featuring fiction by Jay Caselberg, Eric Del Carlo, Aaron J. French, and Christopher Fulbright. And also me, which the Amazon text doesn’t state specifically, but you can’t fit everyone in a blurb. And somewhat hilariously when you check out the”About the Authors” section in the book itself, is that the one that’s under my name (“. . . a mysterious recluse from the wild mountains of Pennsylvania . . .”) is not about me! If anyone knows who it is about, I would be curious too. But that’s not important. What is are the stories, of which mine is the first in the book, “Dark of the Moon” (cf. September 18, 15, January 22, et al. ), one of three that are reprints, originally published in CHILDREN OF CTHULHU (Del Rey, 2002) and later reprinted in FUTURE LOVECRAFT (Innsmouth Free Press, 2011; Prime Books, 2012). “Dark of the Moon” is a tale of a lunar landing gone bad (they all go bad in a book like this, don’t they? ), this one the first on the moon’s back side, the side we never see that always faces away from the Earth. In addition are eighteen other stories, all of which look like potential winners. So yesterday DARK HORIZONS arrived with “Dark of the Moon” in the computer cave mailbox, sent in the dark, end days of October (the 29th by postmark to be exact, and never mind Amazon’s November 15 publication listing). For more, press here. Does Cthulhu slither? Whatever it does, CTHULHU HAIKU II AND MORE MYTHOS MADNESS, to give it its full name, officially published by Popcorn Press in January (cf. January 7, October 25) but with various delays bedeviling its actual appearance in the, um, flesh, was seen today in my very own mailbox. Sitting now on the table, preparatory to more dipping into, ultimately to find its home on a shelf of books in the shade of such titles as BIZARRO BIZARRO, UNTIL THE END, WE WALK INVISIBLE, MISERIA’S CHORALE, and DAILY SCIENCE FICTION, is that a faint pulsing one sees in its pages? An unhealthy sheen to its garish cover? But never mind — at last it has appeared. And details on how it can be yours too can be discovered by pressing here. My slime in this sea-spume consists of five poems, titled (in order of their appearance) “Slow-Motion,” “The Vampiress Dreams of an Evening in Innsmouth,” “Bad Vacation,” “With the Economy What It Is, Maybe We’ll Take Any Job We Can Get,” and “It Must Have Been That New Fish Food.” The first and last of these are reprints, having had the poor taste to originally appear in CTHULHU A LOVE STORY (PROSPECTIVE: A JOURNAL OF SPECULATION, October 2012), while the remaining three are original to CTHULHU HAIKU II. “I got a ton of submissions for this issue. Some you can tell in just a few lines are undeniably Poe/Lovecraft fandom, while others are a bit more subtle and some blend elements of Poe and Lovecraft together. New Mythos abominations have been born. There is even a poem. And a creepy new Dupin story with a horror twist. Monsters coming out of every shadow. And so, today, THE WERE-TRAVELER Lovecraft/Poe homage issue is up, with my micro-addition, “The Farmer in the Well” (see post just below), available in it by pressing here. But once you’ve read it (it’s very short), be sure to press the Home button to see the whole issue with many, many more delights — even including links to the poems by H.P.Lovecraft cited in the first paragraph quoted above! 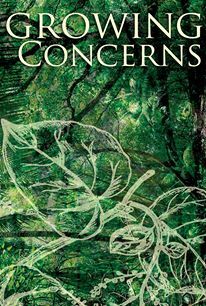 In other news, Editor Alex Hurst announces that the Chupa Cabra House eco-horror anthology GROWING CONCERNS (see January 9, et al.) has received its first review, a full five stars on Amazon. My weed in this woodpatch is “Seeds,” concerning a link between flowers and Chicago baseball, and a not-quite-average garden supplies store, and it gets a mention along with the rest. To see all for yourself, press here. And Also, for Poe’s Birthday. . . . So, shortly after I posted my birthday remembrance for Edgar Allan Poe, below, what should appear in the ol’ electronic in-box but this, from Editor Maria Kelly: “Thank you for submitting your story ‘The Farmer in the Well’ to THE WERE-TRAVELER for The Shadows Only Hide the Monsters issue. I am accepting it for the issue. I like that it blends both Poe and Lovecraft elements.” This was another one of those “at the last minute” submissions, sent just last Tuesday for a Wednesday deadline for THE WERE-TRAVELER’s “Tribute to H. P. Lovecraft and Edgar Allan Poe” themed January issue in the Micro Fiction (100 to 500 words) category. “The Farmer in the Well” is itself a reprint, having first appeared in the original CTHULHU HAIKU (Popcorn Press, 2012 — cf. December 4 2012, et al.). The acceptance email went on to say that the issue, with story, “should go live within the next 1-4 days.” For information, and link, check back here. Life still goes on. And so a cold Monday late afternoon was brightened by an email from Lester Smith of Popcorn Press that, although delayed by unforeseen circumstances, CTHULHU HAIKU II (cf. October 25) has now been published on Kindle and, in print, via Createspace, with a print edition expected on Amazon as well in the next few days. I have five poems in all in this extravaganza, none of them haiku exactly (but actually short poems of any sort were game, as well as flash fiction): “Bad Vacation (A Shadorma),” “The Vampiress Dreams of an Evening in Innsmouth,” “With the economy What It Is, Maybe We’ll Take Any Job We Can Get,” “Slow-Motion,” and “It Must Have Been That New Fish Food.” The latter two are reprints from CTHULHU A LOVE STORY (Prospective: A Journal of Speculation, Oct. 2012) while the first three are original to CTHULHU HAIKU II. So these are my first publications for 2014, for those keeping count, with the kindle version available by pressing here, and in print from Createspace by pressing here. 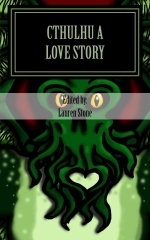 Perhaps we remember PROSPECTIVE: A JOURNAL OF SPECULATION with its intriguingly themed anthology issues such as CTHULHU: A LOVE STORY (cf. January 10 2013, September 21 2012) and WHEN SIRENS CALL (May 11, February 21 2013), for which I sold, respectively, the poems “Slow-Motion” and “It Must Have Been that New Fishfood,” and “Terpsichore’s Daughter” and “Medusa’s Daughter.” This latest time out the announced theme was AFTER THE FALL, ANGELS ARE KIND OF DICKS and, in an only semi-last-minute way this time (a full ten days before deadline! ), I decided to try a piece of flash fiction on them. So Monday afternoon the word came back, that Editor/Publisher Lauren Stone has accepted my “The Left Behinds,” a riff on the Book of Revelation concerning three who had missed the Rapture (and not surprisingly since, as one of the three explains, it’s a made up conceit that’s not in the Bible), one who thought he should have been taken, one who was no better than she ought to be, and one who had frittered away his life watching horror movies. Or so the first, Mr. Holier than Thou, proclaimed. “The Left Behinds” will be appearing in the Summer issue, with the fall issue open for submissions on July 5 through Aug 15 on the theme SURRENDER THE SASQUATCH AND NO ONE GETS HURT. More information can be found here. It’s official now. UNIVERSE HORRIBILIS (cf. February 26, et al. ), “a new anthology of science fiction short stories by an international group of award-winning and emerging writers, who offer their speculative takes on the theme of a hostile or uncaring universe,” is officially available in multiple e-book formats, including Epub (for iPad/iBooks, Nook, Sony Reader, Kobo), .mobi (Kindle), HTML, PDF, plain text, RTF, and Palm, according to publisher Third Flatiron Publishing. 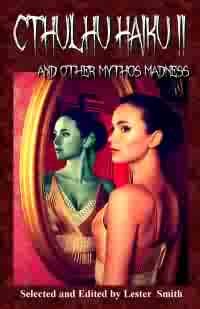 “Follow [the authors] as they each offer their unique takes on the twists and turns the universe puts us through: monsters and mayhem, evil sorcerers, sadistic diners, twisted princesses, plagues, alien enemies, cosmic menace, sinister robots, genetically modified food, and, of course, your mother-in-law.” One might add, too, at least in terms of my story, “The Reading,” the saga of a literary society’s poetry evening gone horribly wrong: Cthulhu. But I’ve only read the first four entries so far in my author’s copy, so who knows what new disasters may still lurk? For more information and possible ordering, check out Third Flatiron’s site right here. Also, Untreed Reads Publishing has announced a special sale to celebrate its initial title’s coming out in March 2010. Leather would be the traditional gift if it were a wedding, but for this third anniversary gala Untreed Reads is offering thirty percent off all its titles, including those by me: VANITAS (steampunk musical mystery), I’M DREAMING OF A. . . . (Christmastide environmental carnage), PEDS (near-future dystopian sf), and the opening entry in YEAR’S END: 14 TALES OF HOLIDAY HORROR. For more information and/or ordering, click either of the first three titles where they appear in the near-right column or check out the Untreed Reads Store page and enter “Dorr” in the Search box at the upper left. (One word of warning: if you click “Author” under “Categories” instead, and then my name [alphabetized under “James”], you won’t find the YEAR’S END anthology listed, just my three solo titles.) To the best of my knowledge, this sale should be on till the end of March, but check the Untreed Reads site to be sure — as well as for additional sales that might be offered during the month for specific titles or categories. It took its time, ostensibly having been published as the “third volume” of PROSPECTIVE: A JOURNAL OF SPECULATION last October, but one thing or another prevented the print issu e of CTHULHU A LOVE STORY (see September 21) from actually being received until now. And quite the volume it is, however, handsomely put together by Editor Lauren Stone and filled with interesting and offbeat flash prose and poetry. Copies should be available in the “usual places,” CreateSpace, Amazon, et al., while for more information on this volume and others, one can check here. To quote from the back cover, CTHULHU A LOVE STORY “is focused on science fiction, romance, and Lovecraftian odes” and “hopes to provide an eclectic and more humorous insight into the nature of love and horror.” My contributions to this are two poems, “Slow-Motion” (would you believe Killer Snails?) and “It Must Have Been that New Fish Food” (on the horrors of goldfish husbandry). Also, interestingly, given its technical October publication, it fits on my bookshelf just after the Popcorn Press anthology CTHULHU HAIKU (cf. December 4, et al.). A horrible reading? Well, I do have a Writers Guild fiction reading scheduled in about a month, but this is different. This is a story called “The Reading” about a reading by a horror poet. Oh, and Cthulhu’s there too. And, for better or worse, “The Reading” has just been accepted by Third Flatiron Publishing, publishers also of the war story anthology A HIGH SHRILL THUMP last summer with my story “Refugees” (see August 27, et al.). The anthology with “The Reading” is on an “Uncaring or Hostile Universe” theme as announced in the guidelines. “This can be Cthulhu mythos, cosmic irony, Nature abhors intelligence, etc. You tell us.” As already noted, my story covers the first of these bases (well, sort of), but may encroach upon the other two as well — or at least so I think. The title of the anthology will be UNIVERSE HORRIBILIS according to the acceptance email and it should be out in e-form on March 1.